Miami (AFP) – Buried glaciers have been spotted on Mars, offering new hints about how much water may be accessible on the Red Planet and where it is located, researchers said Thursday. 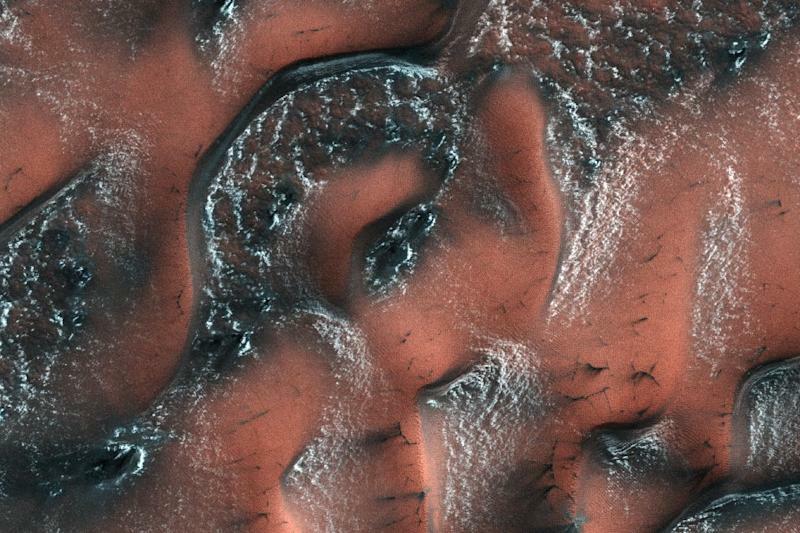 Although ice has long been known to exist on Mars, a better understanding of its depth and location could be vital to future human explorers, said the report in the US journal Science. Erosion has exposed eight ice sites, some as shallow as a few feet (one meter) below the surface, and going as deep as 100 meters or more, it said. These underground cliffs appear “to be nearly pure ice,” said the report, which is based on data from the Mars Reconnaissance Orbiter, launched in 2005. “This kind of ice is more widespread than previously thought,” said Colin Dundas, a geologist at the US Geological Survey in Flagstaff, Arizona.